Only the $229 G5 Plus will hit the US, but it's by far the better of the two phones. 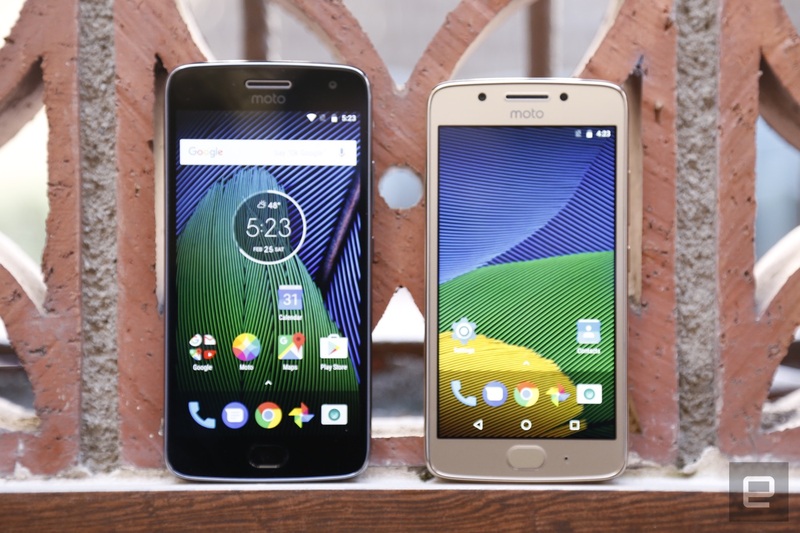 When Lenovo/Motorola first revealed the 4th-generation Moto G and Moto G Plus last year, it did so at a surprisingly secretive launch event in India. That was probably just as well: They were perfectly decent mid-range phones that didn't excite the way earlier G's did. The swanky interior of the W Hotel in Barcelona seems to suit the new G5 and G5 Plus a little better. Lenovo still wanted to build a set of reasonably priced mid-range phones, but it's clear the company was angling to give the G series something of a premium makeover. This year is all about cleaner lines and metal bodies, but I wonder if the G5 and G5 Plus didn't lose a bit of character in the redesign. The G5 Plus's solid performance also owes a lot to how clean the phone's Android 7.0 Nougat build is. Lenovo's dedication to near-stock Android hasn't changed. That said, all the usual Moto experiences are back, from cranking the phone to launch the camera to karate-chopping it for a flashlight mode. There's one new addition, though, and I've waited almost a full year for Moto to make it happen. Below that 5.2-inch, full HD screen is a pill-shaped fingerprint sensor that can finally, mercifully be used as a home button. Let's rewind a bit: Last year's Moto Gs had finger scanners that looked like home buttons but did nothing but read your fingerprints. I'm no fool, but I still tapped the damn thing in hopes of seeing my home screen a few dozen times. Now, if you toggle a particular option, a tap on the sensor takes you back to the home screen, while swipes to the left and right take you back one level and launch the multitasking view, respectively. Even better, since this replaces those on-screen navigation keys, you'll get a little extra screen space to play with. It takes a little getting used to, but the trick seems to work more fluidly here than on Huawei's P10. Even more impressive is the camera, if only because it's so familiar. Tell me if this rings a bell: It's a flagship-level, 12-megapixel sensor with dual-autofocus pixels. Bingo: This is the same camera used in Samsung's Galaxy S7. That's really the story with mid-range phones, isn't it? Yesterday's flagship features become today's mass-market fodder. Considering how good this particular camera is, though, I definitely don't mind the migration. We have to take a minute and talk about the new design. The G aesthetic is still rounded, though a little more curvaceous than on the older version of the phone. I happen to think the G5 Plus is a really comfortable device to hold, but I miss the fun, punchy colors and the sense of accessibility the old Moto Gs oozed. The metal Moto G5 Plus feels more sturdy and substantial, but the muted color choices -- lunar gray and fine gold -- come off as more staid and subdued. This definitely isn't a concern everyone will have, though, and those who look past the aesthetics will find a perfectly fine upper-mid-range option. Many of these features carry over into the less expensive Moto G, which seems destined for a life outside America. It packs a slightly smaller 5-inch full HD display and an octa-core Snapdragon 430, which seemed adequately slick for the few moments I played around with it. It's great to see 10W turbo charging working here with the G5's 2,800mAh battery. Different markets will get Moto G5s with either 2GB or 3GB of RAM, and, well, there's nothing to say to people getting the lesser-spec'd model other than "sorry." The 13-megapixel rear shooter might technically capture higher-resolution shots, but it doesn't matter: The Plus handily outperforms it in this and almost every other way. At first, I thought it was a little odd Motorola wouldn't continue its multi-G strategy in the US, but the reasons soon became clear enough. The G5 Plus package is a thoroughly respectable one, and it will probably do well priced at $229 unlocked. It doesn't make a ton of sense to deliver a phone cheaper and less capable than that in our neck of the woods, though some will complain about the omission regardless. Anyway, Motorola has done some very good -- if somewhat unexciting -- work here. 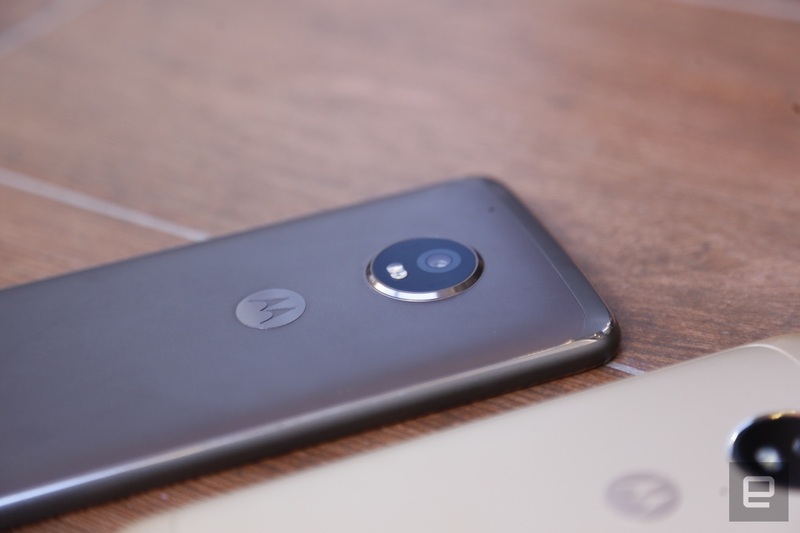 As mid-range phones like these continue to get better, pressure builds on companies like Motorola to keep their high-end offerings more unique, capable and innovative. 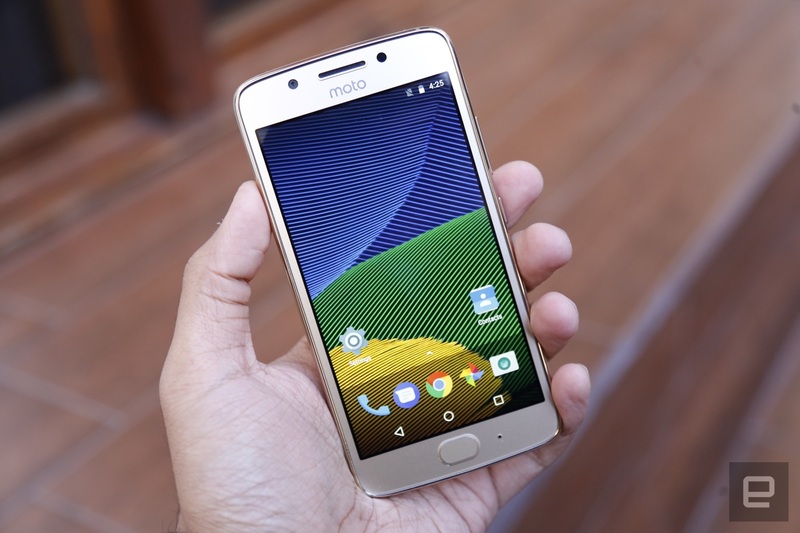 The Moto G5 and G5 Plus seem decent and pretty great, respectively, but now I'm left wondering what will happen when the premium Z line gets an update.